I have served as Howard University Hospital Chief and Interim Chairman at Howard University Hospital’s (HUH) Department of Emergency Medicine since 2007. Howard University is a historically black university founded in 1867 in Washington, D.C., with its College of Medicine (HUCM) established a year later. HUCM offers an outstanding four-year MD program known for educating physicians with a dedication to providing health care to underserved communities throughout the U.S. As the primary teaching hospital for HUCM, the Howard University Hospital offers comprehensive specialties in everything from gynecology/oncology research to transplant surgery, as well a Level 1 Trauma Center. HUH also maintains specialized centers such as the Diabetes Treatment Center, the Center for Wellness and Weight Loss Surgery, and the Cancer Center. HUH operates the Center for Sickle Cell Disease (SCD), the Washington D.C. area’s primary SCD patient service provider. As SCD disproportionately affects African Americans, the Center has a particularly critical community-centered mission. Serving more than 50,000 patients, HUH`s Department of Emergency Medicine provides comprehensive services 24 hours a day, seven days a week. Our facilities offer fast track and urgent care capacities, three dedicated resuscitation rooms, a chest pain center, and an OB/GYN suite. I am proud of the work we have accomplished at the HUH emergency facilities over the past several years since HUH has seen the sharpest increase in volume among all Washington D.C. hospitals. In these past years, we have improved levels of patient safety and quality care, achieving a 95 percent improvement in emergency department closure time while treating a significantly higher numbers of patients. HUH has completed and is currently undertaking several emergency departmental initiatives, including implementation of advanced triage protocols, upgrading emergent and difficulty airway equipment, improving ED customer service, and introducing T-system templated chart documentation. 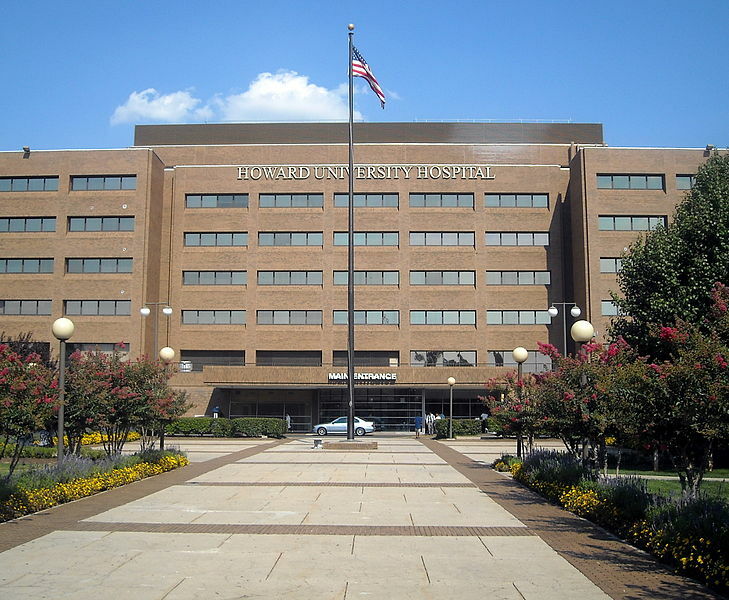 Visit Howard University Hospital at huhealthcare.com to learn more about the services we provide.